who lost hope of having her own family. to capture his sister’s killer. And three young orphans who need them both. 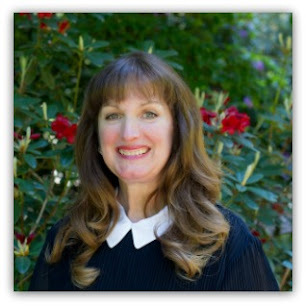 Rebecca Hoyt’s one constant was her dedication to her beloved students. Now, a rebellious child could cost her the job she loves. Without her teaching position, what would she do? Detective Jesse Rand prides himself in protecting the people who ride the railroads. But, when his own sister and brother-in-law are killed by train robbers, the detective blames himself. Yet, another duty calls—he must venture to Riverton where his niece and nephews were left in the care of their beautiful and stubborn teacher, Rebecca Hoyt. They need to mourn and heal, but Jesse is determined to find his sister’s killers. 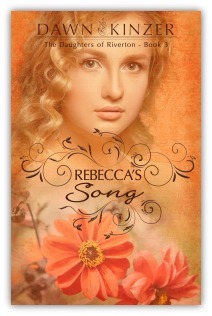 Rebecca is willing to help care for the children, but she also fears getting too close to them—or their handsome uncle—knowing the day will come when he’ll take them back to Chicago. Will Jesse and Rebecca find a way to open their hearts and work together? Or will they, along with the children, lose out on love? Book club members - You’ll find 20 questions included for discussion and reflection. Available on AMAZON in e-book and paperback. Available on Barnes & Noble.com in paperback. 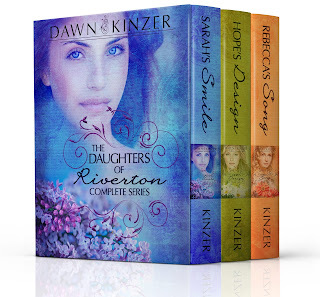 Available on AMAZON in The Daughters of Riverton series boxed set for Kindle.